Today’s best designers are more than creators; they are facilitators. In an increasingly multidisciplinary, collaborative, and creative process that includes many participants, they act as conductors who align and inspire the team to give their best. UX workshops are probably one of the best ways to put this into practice. The rise of ideologies like Design Thinking, Lean UX, and Design Sprints have turned UX workshops into a necessity, and for designers, the ability to facilitate a design workshop is a highly desirable skill. A UX workshop consists of inviting your team (other designers, developers, product managers, etc.) into a conference room, putting together an agenda around a goal (e.g., prototype a new product functionality), and coming up with some collaborative techniques, like brainstorming and sketching. You will achieve better results by doing this than by trying to manage everything yourself—and as an added bonus, cultivate a more engaged, motivated team. Imagine doing this with remote team members across a wide geographic area with no face-to-face communication in a situation where technical issues are very likely to occur. If conducting a design workshop with a co-located team (everyone in the same physical place) is already challenging, its remote version can be a real frustration and a waste of time if you ignore critical, tried-and-true facilitation techniques. Let’s look at some time-tested practices that will help make a remote UX workshop run smoothly. We’ll also look into what happens before, during, and after, and some of the pitfalls you should look out for. 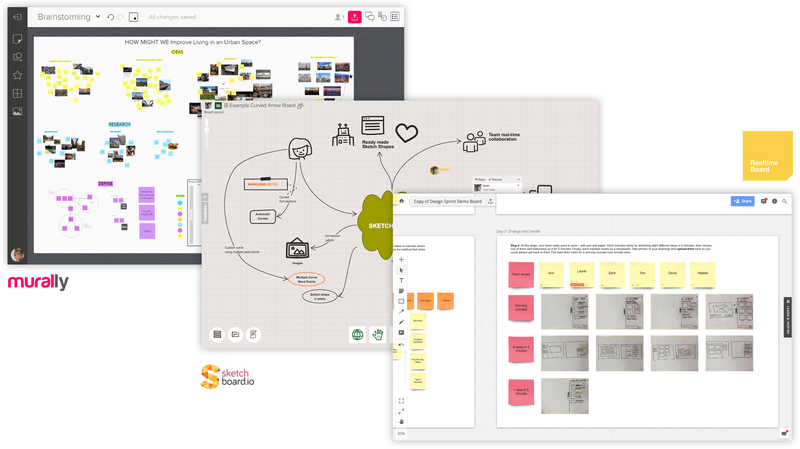 Planning and facilitating a remote design workshop requires preparation and collaboration. It’s a good idea to delegate some tasks to others. This will help avoid bottlenecks and any unpleasant surprises during the workshop—like having to collect notes and explain the next steps simultaneously. This is the person (most likely you) who, among other things, will “run the show,” manage workshop collaboration and timing, set the pace for the activities, and keep participants engaged. Your primary mission is to help the team be productive and keep the workshop flowing. Be a servant leader. Depending on the remote workshop technique, you can also participate (for instance, you could lead a prototyping session and sketch at the same time). A remote assistant should be engaged to run things smoothly during a UX workshop. Nothing is more frustrating than having a great discussion or idea generation interrupted by a lost connection, a screen sharing glitch, an excessive echo in the room, or the realization that you can’t see the details of the sketch your colleague did on paper and is fruitlessly positioning in front of the camera for you to view and give feedback on. This list can be a long one. A stable internet connection and a backup. In addition to your primary internet connection, secure a mobile network as a backup. Most of the today's 3G / 4G networks support video conference at acceptable levels. Be prepared to quickly switch to your mobile connection if needed, and be sure to test it beforehand! A quiet, comfortable, well-illuminated room. As much as possible try to avoid things like echo, interruption from others, hard light (for example from open windows which is disastrous for cameras), reflection on whiteboards, or too much darkness. If anyone is participating from a shared space (like a regular office room or a coworking situation), be sure there are rules for noise and interruptions when a meeting is in progress. For example, in my previous job, we turned off some of the lights so that anyone suddenly entering the room knew that a remote meeting was taking place. Appropriate video conferencing equipment. There are tons of specific solutions today that satisfy different needs and budgets. For a one-person setup, a headset with microphone and the HD camera in modern laptops may be enough. For conference rooms (and desktop computers), check this online tool to find the best video conferencing solution for your team. The right collaboration software. For remote UX workshops, it's critical to have great video conferencing, file sharing and screen-sharing software. Several solutions offer everything in one place, like Google Hangouts, Slack, and Zoom. My preference for video conferencing and screen sharing is Zoom (by far), mostly due to the awesome video quality, but I recommend taking a look at some software reviews to decide for yourself. Finally, once you’ve checked the above items on your list, be sure to test everything well before the workshop. Then, test again if you can. Plan ahead with your local assistant and decide which workshop techniques and tools you will use for the results you want to achieve. Explain and practice the techniques with the local assistant beforehand, so that you are in sync during the workshop. It's important to calculate the time for each task accurately—don't be too optimistic when estimating activity durations. Err on the side of allowing too much time. Schedule breaks so that participants can refocus their energies. Finally, plan some time for fixing potential technical problems and other issues that may come up during the workshop (5 minutes per task is fine). They will happen. One of the most difficult challenges when running a remote UX workshop is to find an ideal mix of digital and physical tools. It’s a delicate balance, as both have their advantages and disadvantages; one needs to choose wisely. 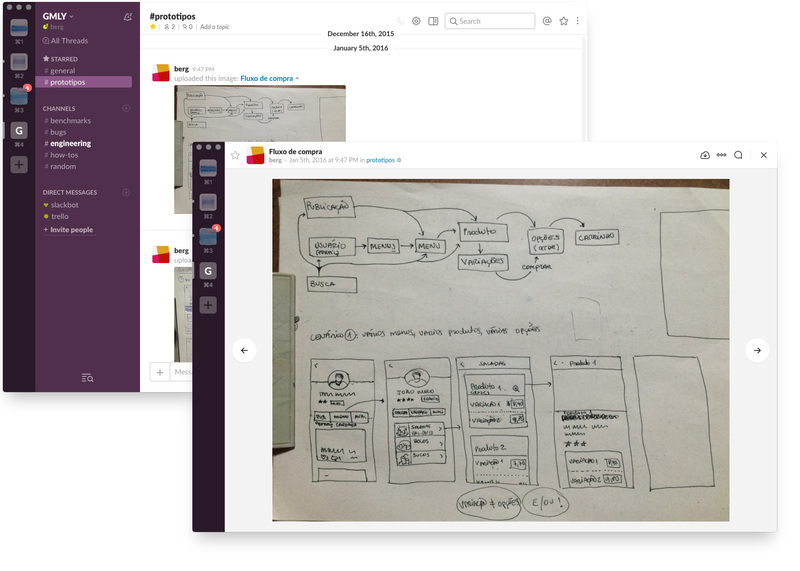 For example, in a workshop concept called “design studio,” session participants can quickly sketch by hand, capture images with their mobile and share via Dropbox or Slack. Another example is a short ideation session where you have just a few Post-its to prioritize (less than 20), and someone can quickly type the Post-it notes into a spreadsheet for easier sorting and prioritization. The risk of losing access to things you don't digitize. Imagine that weeks or months later you need to revisit the subject—you remember it was discussed, but can't find any scans or photos. Unless you took the time to store the post-its, keep them organized and accessible, this is not a desirable scenario. With digitized artifacts, one doesn't have the ability to "copy, paste, undo, duplicate, sort," etc. easily, which hinders productivity. 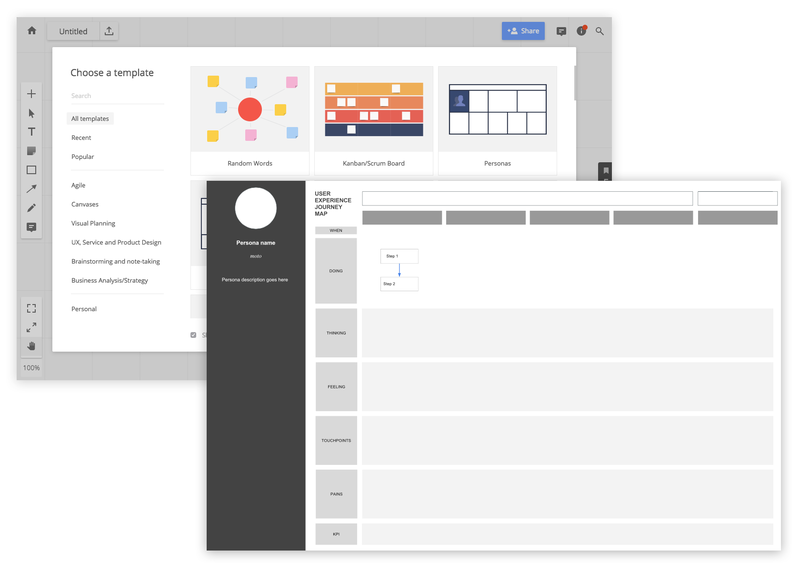 A good example for using this workshop approach is when the team is creating affinity diagrams, empathy maps, or user journeys using virtual boards. Another scenario that works with this approach is when you need to collect ideas in ideation sessions. 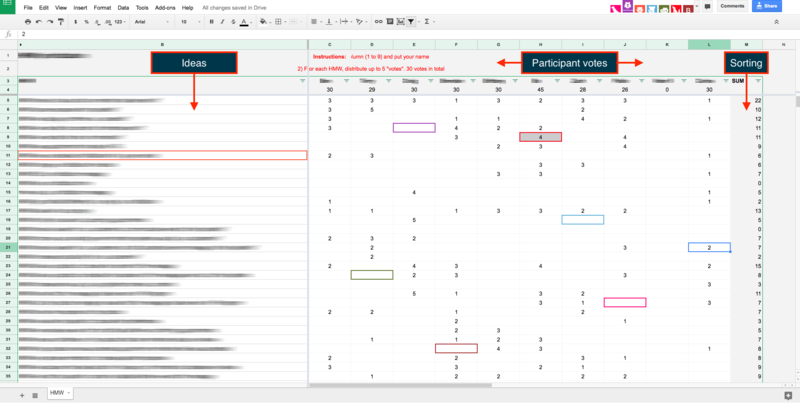 Instead of Post-its on the board (physical or virtual), you can use a shared online spreadsheet where each participant types their ideas into the spreadsheet’s cells (see below). You can also speed up the process of selecting and prioritizing ideas during brainstorming sessions with the use of automatic calculation and sort features. In the example below, the team needed to choose the best ideas from more than 40 they had brainstormed previously. The spreadsheet allowed voting for the best ideas and automatically sorted the list by the number of votes. The whole process took less than 8 minutes. Workshop participants voted for ideas (column B) by entering points on a scale of 5 to 1 in their assigned columns (columns C to L). The spreadsheet then calculated the total points (votes) for each idea allowing the facilitator to sort the results quickly (column M). Be sure to have everything ready-to-use when the workshop starts: templates, pre-filled documents, virtual boards, etc. Prepare diligently and don’t waste everyone’s time by setting up in front of them. Boost your UX workshop productivity with templates. It’s a good idea to get feedback from your team after the workshop and identify areas that could be improved. The best time to do this is right after it is over because everything will still be fresh. For instance, as a result of the extensive use of technology in the case of a mostly digital approach, many pitfalls and potential glitches invariably surface—discussing why they occurred and how to circumvent it happening again is of great benefit to any team. Before the workshop, prepare a short anonymous online survey and send the link to participants right after the workshop. Be sure to track each aspect as a separate section (equipment and techniques used, communications, remote tech, software, workshop duration, etc.) and let the team leave comments, not just rate or check boxes. There are many other ways to get post-workshop feedback—like asking the team to put post-its on a wall with comments (physical or virtual), or doing one-on-one interviews. Choose the one that suits you best but don’t lose the opportunity. The assets generated during the workshop are useful not only while it is in progress but can be used for further discussion or as a starting point for other workshops. In a traditional (or mostly non-digital) approach, it is very likely you will end up with piles of post-its, handwritten notes, and sketches. If this is the case, a good practice is to keep at least the most important artifacts until you are sure you can let them go. You also have the option to digitize them (take pictures, tabulation to spreadsheets, etc). Create a centralized, organized repository for the workshop. For instance, a shared master folder with subfolders for each technique that was used during the workshop. Make sure to include links to virtual boards and any other external source/tool. Make sure that core artifacts are complete (sketches, spreadsheets, virtual boards, etc.). When it isn't possible to finish them during the workshop, if you think they can be useful in the future, do it as soon as possible once it is over. Don't rely on your memory—months later, an unfinished sketch or spreadsheet may not make any sense to you. Using different techniques and tools, remote UX workshops can deliver the same results as co-located workshops. If done right, the productivity benefits boosted by digital collaboration tools offsets the lack of face-to-face discussion. Planning and running a remote UX design workshop isn’t rocket science, but the many complex details and potential pitfalls demand attention. Despite meticulous preparation, it is unlikely you’ll get everything right on the first try. The best thing to do is to chill out, have fun with your team, and remember—every workshop represents an opportunity for learning, and the next time is always an improvement!